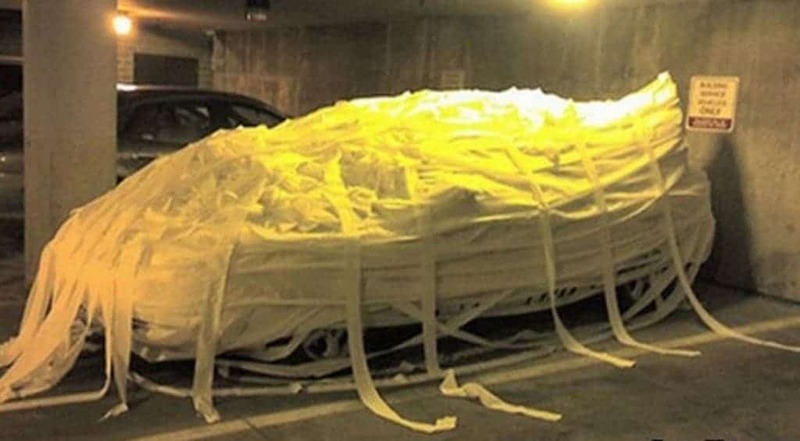 Who doesn’t love a good prank? We certainly do! 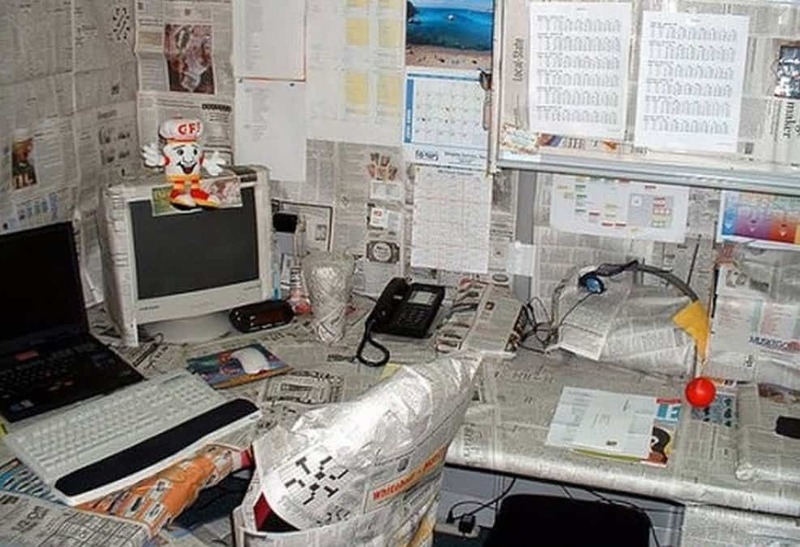 Although we must confess, our pranking thus far in life has been pretty tame, so that got us thinking: what are some of the greatest pranks around so that we can see what we’ve been missing? What we found was not only hilarious, but instructive and we have every intention of trying these out on our friends and coworkers. 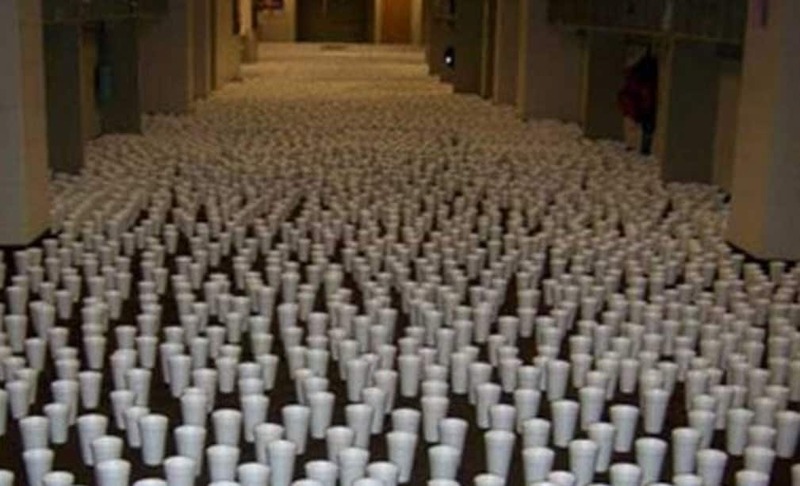 So, without further ado, here are 20 of the funniest pranks to make your day. Be sure to take notes and try out a few on your friends! 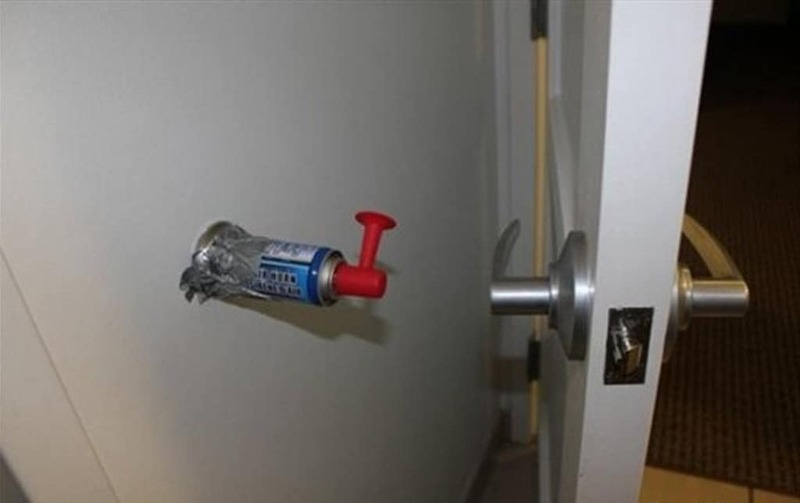 This is pretty standard, but we admire the creativity in fastening the air horn to the door stop – you can’t go wrong with duct tape! 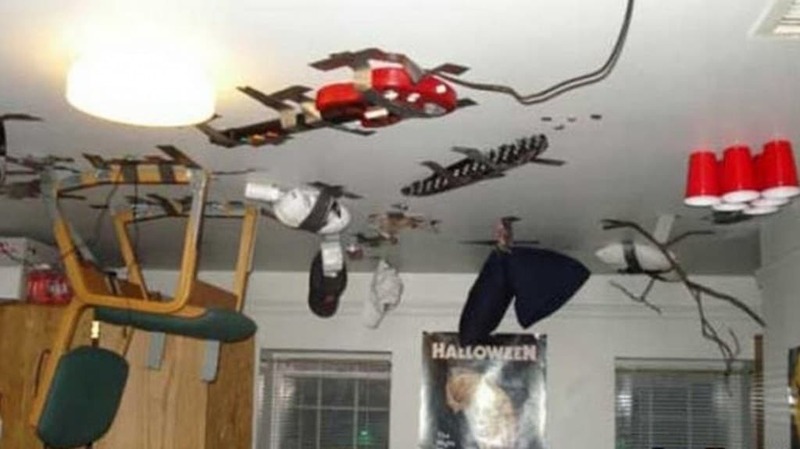 So we actually did this one to our college roommates – and they loved it! This one will always have a special place in our heart. 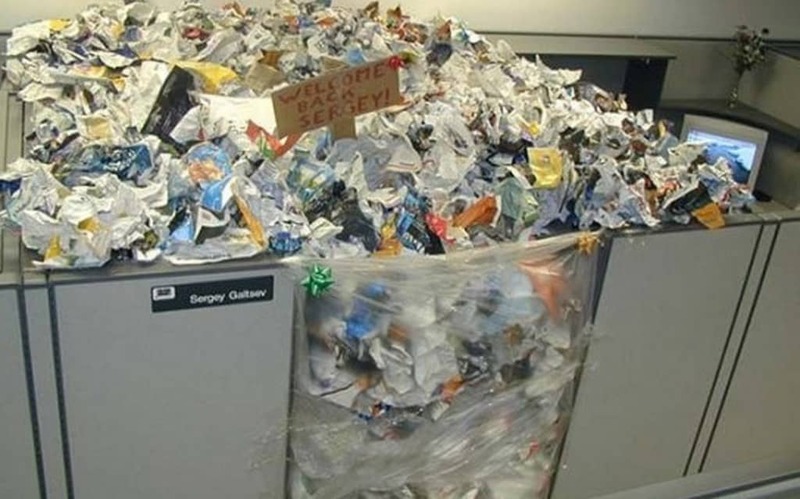 This would take a long time but we have to assume it was probably worth it. 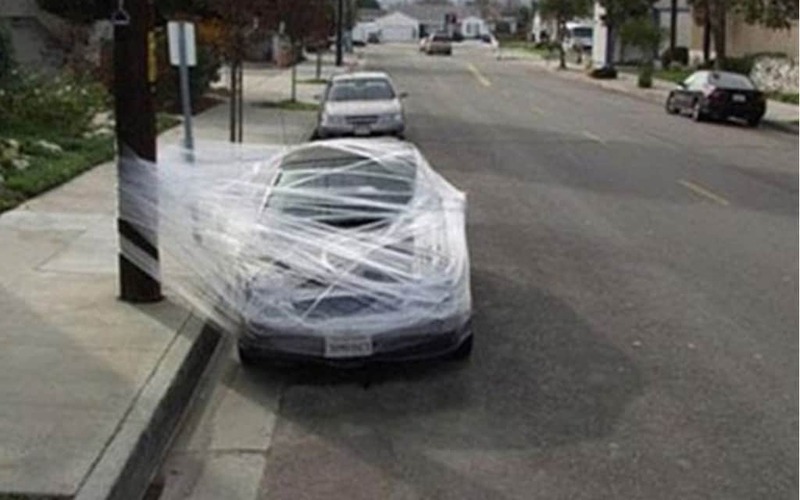 We knew someone that pulled this one off, and we would like to point out that the perpetrators here forgot something – they needed to cover the car with Crisco when you’re done with the Saran Wrap! We have one word and one word only to describe this: classic. This is great and we’re not quite sure how it was pulled off. 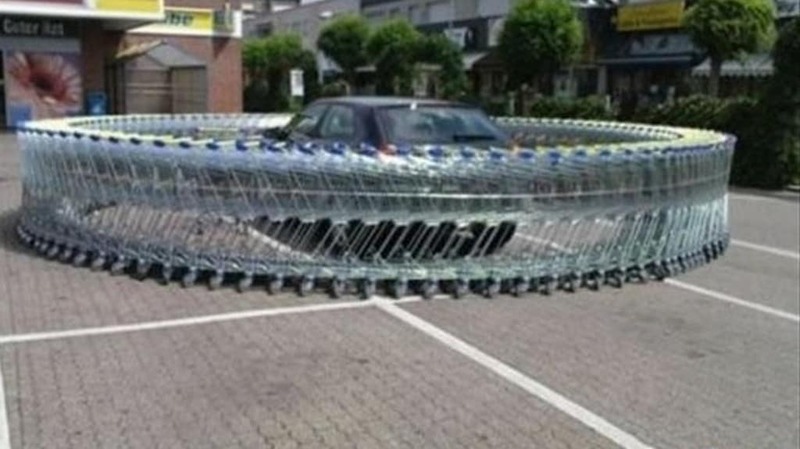 As we all know shopping carts are easy to maneuver. 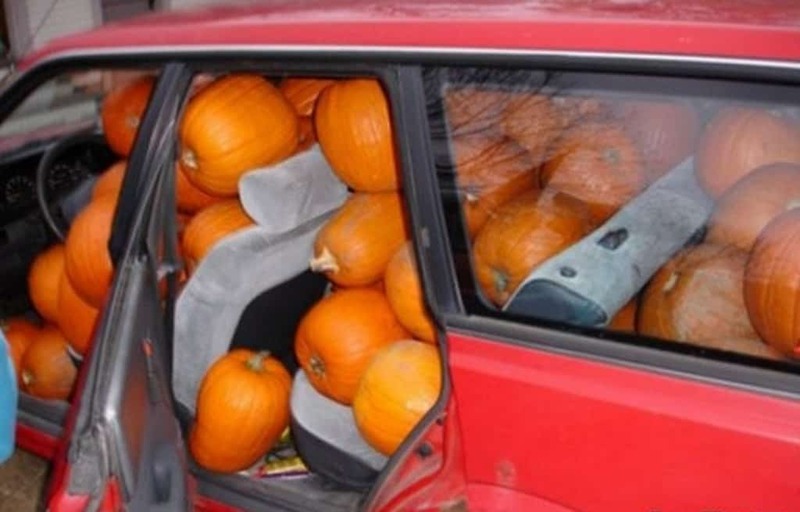 We’re actually pretty sure that this would not only make a great prank, but it would weigh down the car big time. 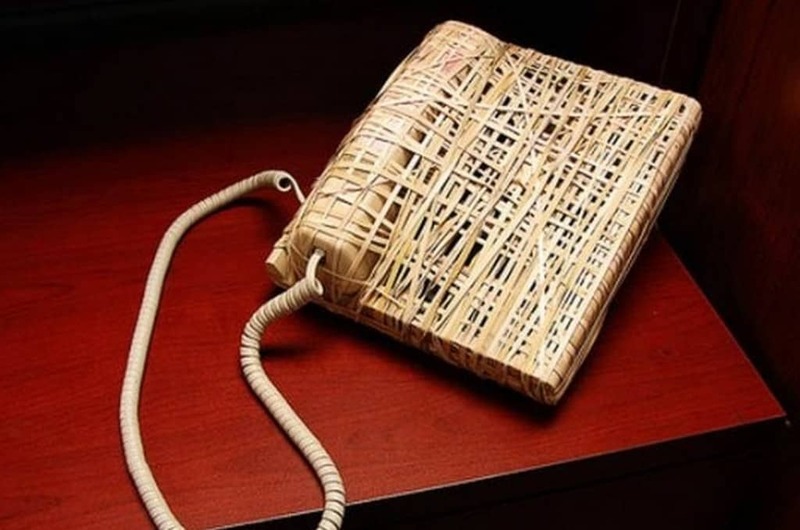 The way to make this even better is to wait until the person being pranked walks into the room and sees the phone, and then call it so that it rings. This is also an obvious classic, we appreciate the layering most of all. 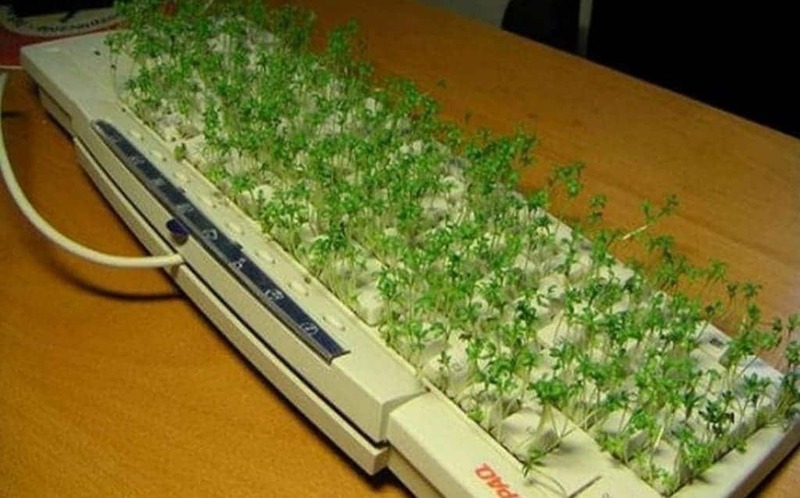 This made us chuckle, the time it took to stack these was no doubt well worth the look on the person’s face when they saw their cubicle. This is awesome and while it probably took at least a week to pull off, if someone is going on a long vacation it is totally doable. 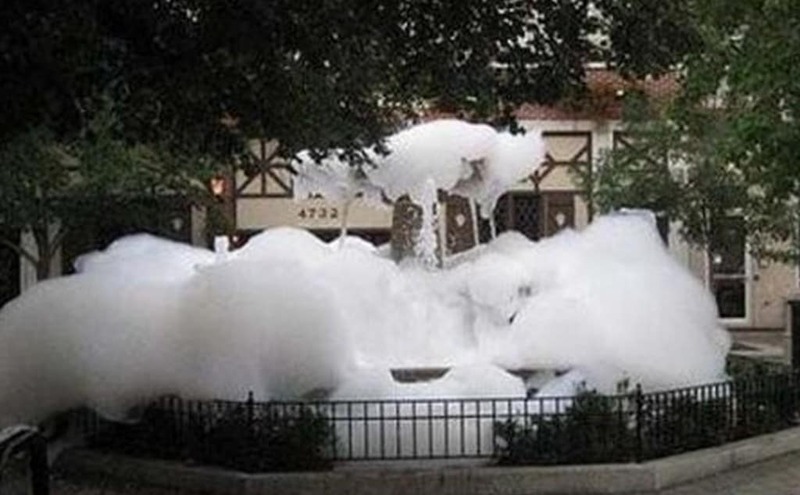 All you need is a public fountain and some bubble bath. We know what we’re doing this year. 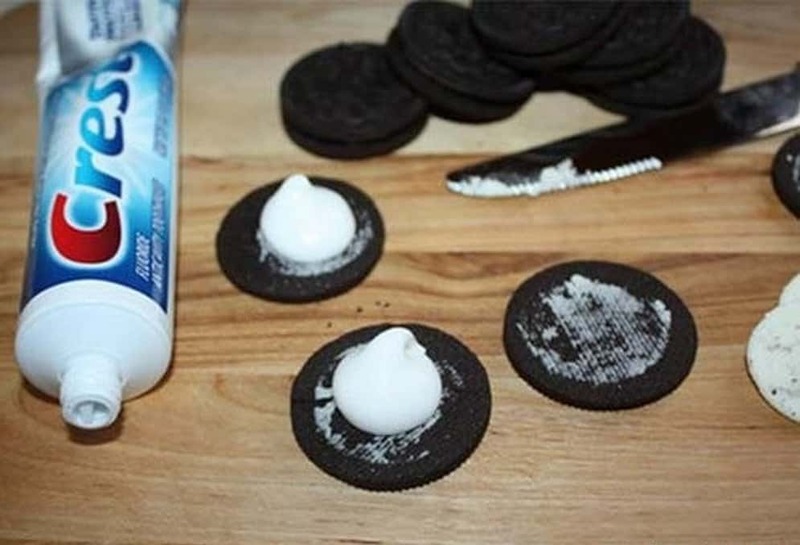 This is awesome and we’re already planning our next party which will feature Toothpaste Oreos. 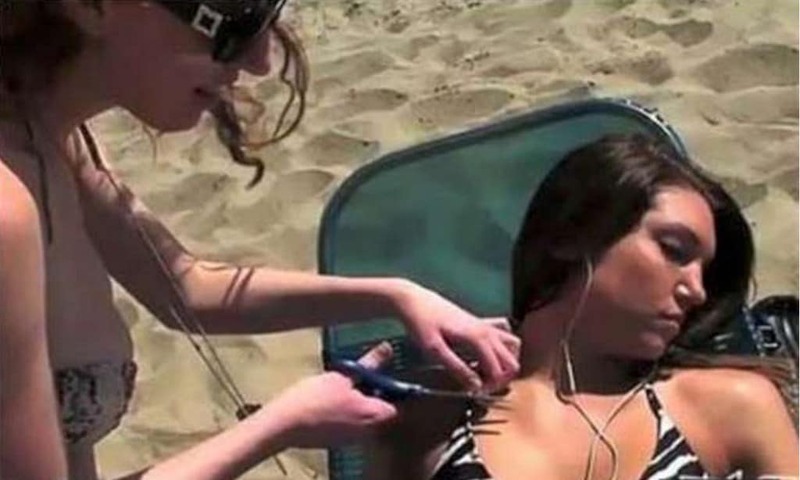 We can’t believe what this woman is doing to her friend, and we can’t wait to see how the woman currently sunbathing is going to get her back. While this probably took some time, it is no doubt hilarious. The other added bonus is the person being pranked can read the comics page or some classifieds when they’re bored. 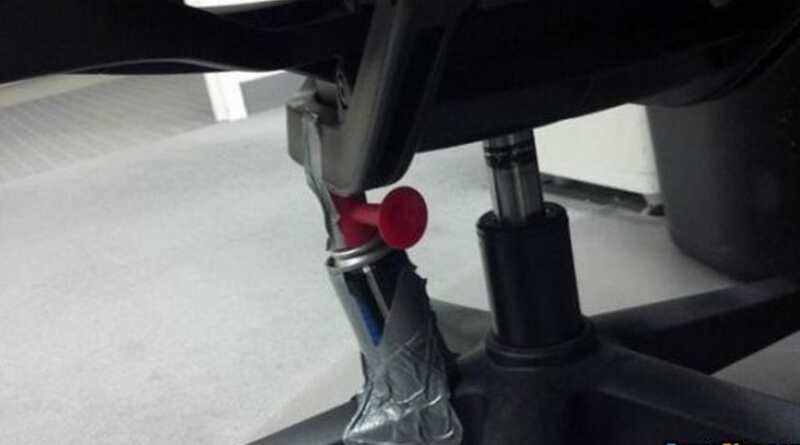 This might be better than the air horn on the door, but we’re pretty sure it led to injury if the wrong person sat down in the chair. 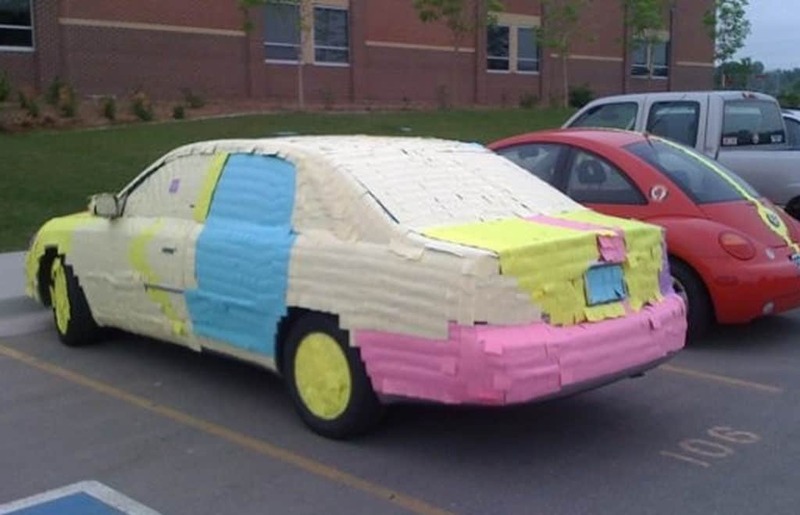 We appreciate the time it took to pick the right colored post-it notes in order to properly cover this car. 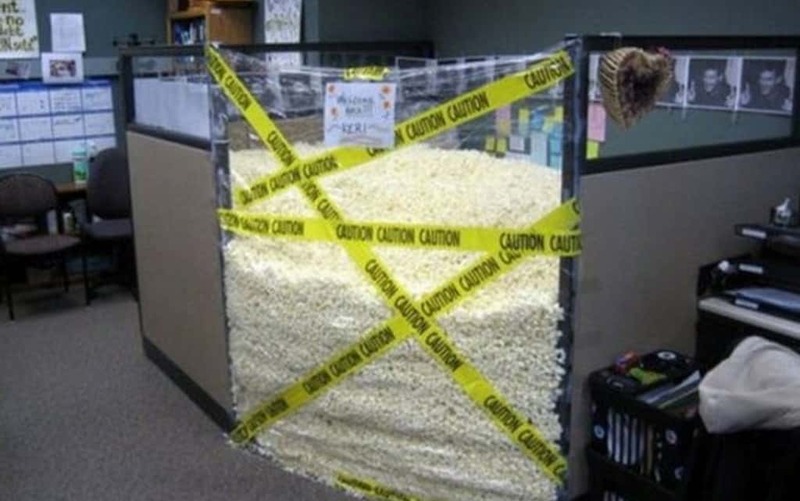 Filling someone’s cubicle with styrofoam peanuts isn’t a prank – it’s fun! 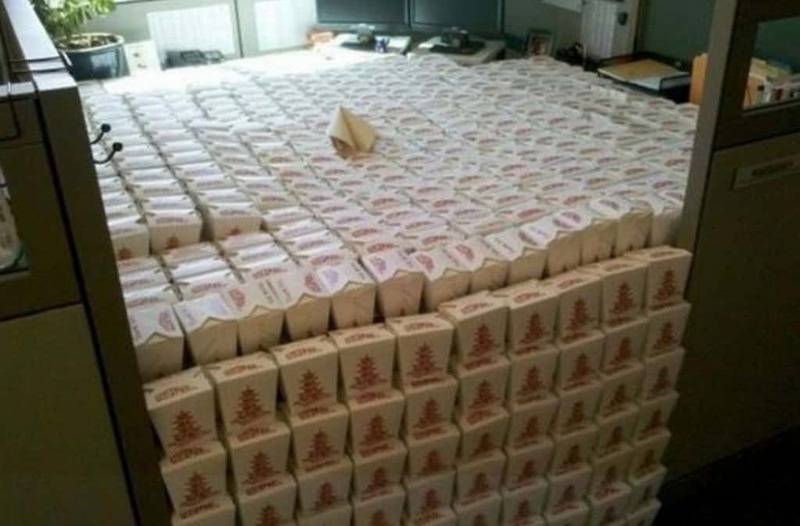 We would totally dive right in if this was done to us. This is brilliant, and we really wish we had tried it on our college roommate. 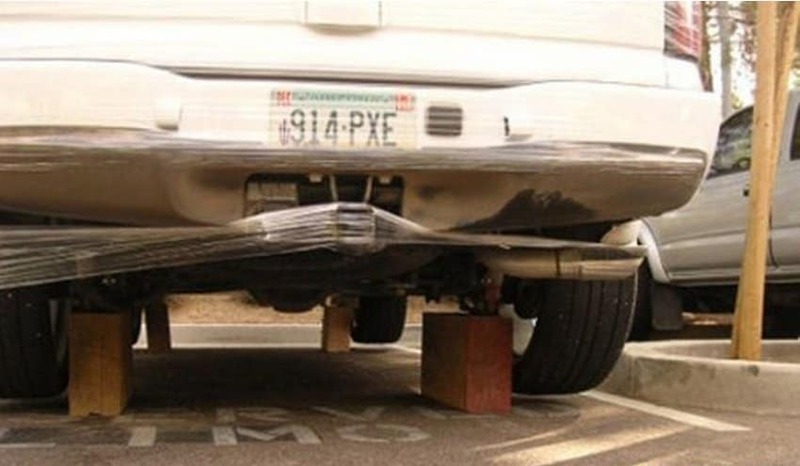 This will require some work, but if you can manage to get your friends car up on some wooden blocks, it will be well worth it, we promise.